A trip to the physical therapist could start feeling a little more like a trip to the arcade, thanks to a new multidisciplinary study being conducted at the University of Southern California. USC Division of Biokinesiology and Physical Therapy faculty members James Finley and Beth Fisher and USC School of Cinematic Arts faculty member Marientina Gotsis recently received a 2-year, $450K grant from the National Institutes of Health to develop and test a virtual reality (VR)-based program for walking rehabilitation in patients with Parkinson’s disease (PD). PD symptoms, such as stiffness, shaking and balance problems, can cause those with the degenerative brain disorder to have difficulty walking. While traditional physical therapies have centered around strength training, stretching and movement practice, it’s recently been discovered that these strategies may not lead to long-term motor learning all by themselves. “From a motor learning perspective, we now know that learning and long-term retention are optimized when the patients have a focus on the movement’s effect on the environment such as ‘step over the obstacle’ rather than on performing the movement itself — ‘flex your hip,’” Fisher explained. The proposed VR-based system, would get individuals with PD back on their feet, practicing the actual walking skills necessary to navigate their communities — with seemingly real-world feedback — under the watchful eye of a physical therapist. “We will be designing a system that will allow patients to experience and practice challenging tasks like negotiating obstacles, walking through crowds, doing turns and walking over thresholds to represent the challenges they would experience in the physical world,” Finley said. A typical treatment session would involve a patient wearing a VR headset and walking on a standard or omni-directional treadmill or over the ground to improve their walking ability in a way that feels more like playing a video game. During the study’s first phase, the researchers will be designing prototypes of a low-cost, portable gait training system that can be set up and easily used in the physical therapy office. “Clinicians have a very limited time with their patients so any hurdles or barriers that are introduced by technology can limit the actual use of that technology in the clinic,” Finley added. The researchers will then recruit clinicians and their patients to use the system, offering feedback to improve the experience for both the user as well as the supervising physical therapist. 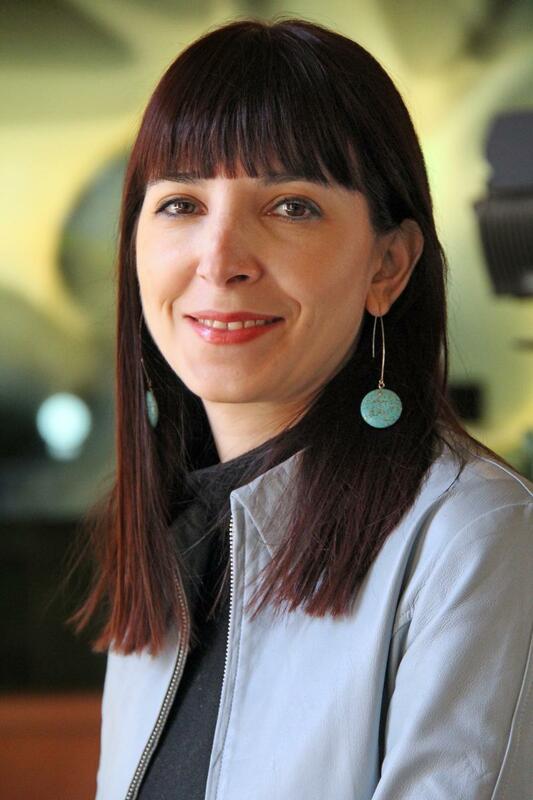 Gotsis and her team of researchers at the USC Creative Media and Behavioral Health Center will be designing and assessing the virtual reality experience — paying close attention to the tiniest of nuances, including sound and haptic feedback — to ensure the most life-like simulations. Patients will have the choice of different environments, including a cityscape with high rises and even a Trader Joe’s, a seaside pier with a ferris wheel or a path in a park. To be most effective, users should choose environments that reflect the challenges they most often face in the real world, Finley said. The study’s second phase will involve assessing the treatment strategy’s effectiveness on actual patients. Using the developed environments, patients with PD will complete a set of progressive training sessions so that researchers can determine the program’s efficacy. The study brings together expertise from a variety of academic disciplines. Finley has devoted himself to research on how locomotion is controlled and adapted in both healthy and injured neuromuscular systems. He is an assistant professor at the USc Division of Biokinesiology and Physical Therapy and the director of the Locomotor Control Laboratory and holds joint appointments in engineering and neuroscience. Fisher is an expert in neuroplasticity and skill acquisition in both non-disabled populations as well as individuals who have had stroke, traumatic brain injury and Parkinson’s disease. She is the director of the Neuroplasticity and Imaging Laboratory and has a joint appointments at the USC Division of Biokinesiology and Physical Therapy as well as the Keck School of Medicine of USC’s neurology department. Gotsis has been working with VR for 20 years, 10 of which have been focused on using interactive entertainment to promote health, happiness and rehabilitation. She is the director and co-founder of the USC Creative Media and Behavioral Health Center, a research unit that bridges expertise from the USC School of Cinematic Arts as well as the Keck School of Medicine of USC. Research reported in this publication was supported by the Eunice Kennedy Shriver National Institute of Child Health and Human Development of the National Institutes of Health under award number R21HD088342. The content is solely the responsibility of the authors and does not necessarily reflect the official views of the National Institutes of Health.